What’s your favorite dog park near your apartments in Medical Center? Actually, maybe we should pose that question differently. Which dog park does your dog like best? If you — or your dog — are new to the dog park scene in this part of Houston, we’d like to give you an overview of the dog parks in the area. 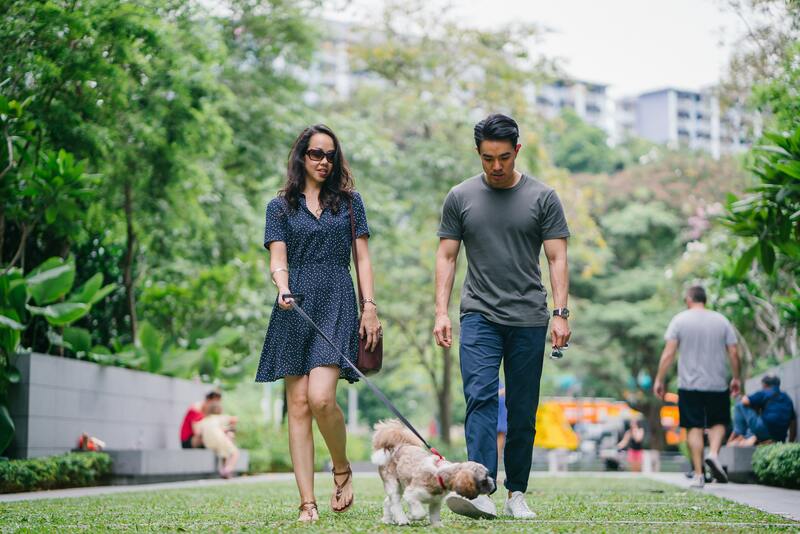 In the blog post below, we’ll be telling our residents about some of the most popular dog parks in the neighborhood around the Medical Center. Whether you’re looking for a park where your pup can play with other dogs or you want a nice quiet park where your dog can exercise on its own terms, we think you’ll find what you need in the blog post below. Now that we’ve gotten the intro out of the way, let’s dive right into this week’s blog! Oh, and when you’re done reading through the blog, please feel free to share the link to this page with your friends and neighbors at your community of apartments on Almeda Rd. Our favorite thing about this dog park is the massive pool where your dog can cool off in the summer months. Danny Jackson Dog Park is a wide open space that has seperate area for both large dogs and small dogs, so don’t be afraid to bring your little pup here! One of the coolest things about this park is that the entrance is kind of hidden, meaning the park is rarely crowded. If your dog doesn’t like big crowds — but does love the water — be sure to check this place out. While the first park on our list is one of the bigger dog parks in Houston, Levy Park might be one of the smallest. It’s big enough, however, and it’s covered in artificial grass. Some people might think the artificial grass is a little odd, but you’ll appreciate it when you don’t have to deal with a dog covered in dirt. Levy Park has water too, so make plans to check it out during the summer months! We love this park, but we have to warn you ahead of time that it’s one of the most crowded parks in Houston. It’s got a wide open grassy space, a pool where dogs can cool off, and lots of rocks for the dogs to climb around on. This is a well-kept dog park with plenty of amenities, a sturdy fence and tons of trees that you can hide under when the sun is too hot. With that, we’ve reached the end of our list of the best dog parks in the neighborhood around your apartment community! We’d like to take a moment to thank you for taking time out of your day to read this week’s blog, and we hope that you’ll come back next week to read our next blog when it’s posted on the site! Above all, else, however, we hope that you’ll be able to check out some of the awesome dog parks on the list above! We’ll have another blog up on the site in a couple weeks, residents! If you feel like you learned something from this week’s post and you’d like to see the next one right when it goes live, please be sure to bookmark our blog page. After all, there’s no faster or easier way to ensure you have easy access to all our future blogs. Also, be sure to follow us on social media! That way, you’ll always be able to stay in-the-know when it comes to upcoming resident events, special promotions and giveaways going on at your favorite community of apartments near Medical Center.